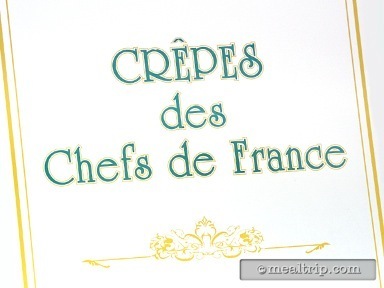 The Crepes des Chefs de France listing is a Kiosk or Cart dining location at Epcot featuring French and Dessert or Ice Cream cuisine. There are 2 photos in the Mealtrip photo gallery for this location and dining period. 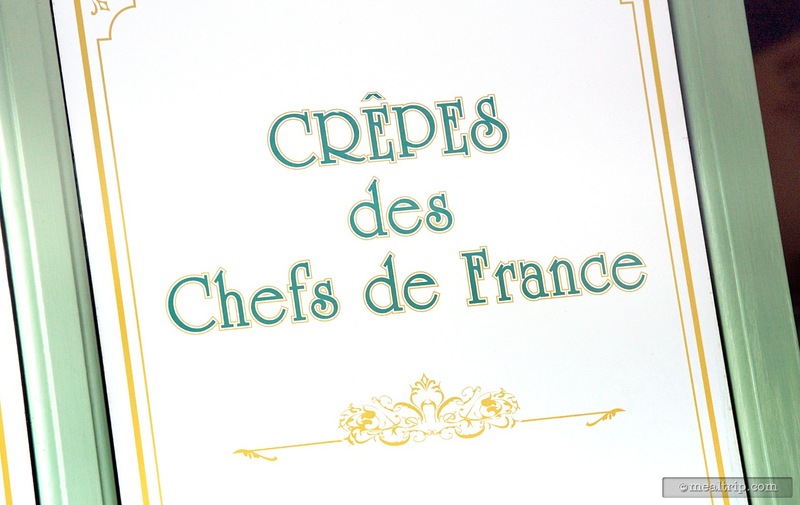 The Crepes des Chefs de France listing currently has a score of 22 out of 100. Click here to read all of the reviews for this location, or log in to Mealtrip.com to add your own review for Crepes des Chefs de France. Crepes des Chefs de France kiosk sign. 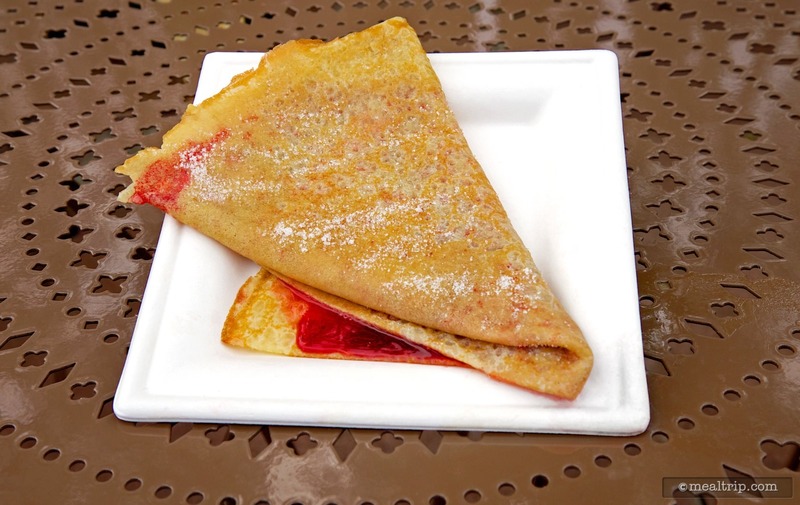 Strawberry Preserves Crepe from Crepes des Chefs de France in Epcot's France pavilion.